Hubs and I are huge animal lovers and used to regularly visits zoos and farms even before we had children (sometimes we’d try to borrow someone else’s child for legitimacy). So it’s no surprise that Caterpillar loves creatures great and small too. In reality, what child doesn’t? One of the things I’m enjoying most about parenthood at the moment is teaching Caterpillar about simple but important things – seasons, weather, nature and animals. And there really isn’t a more exciting time of year, nature and animal-wise, than Spring. It’s wonderful how many of the local parks and farms embrace this time of year. 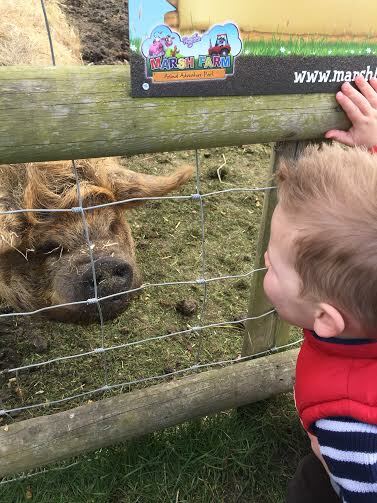 We took this opportunity to grab some good friends and visit one of our local venues – Marsh Farm Animal Adventure Park in South Woodham Ferrers, Essex and we weren’t disappointed. 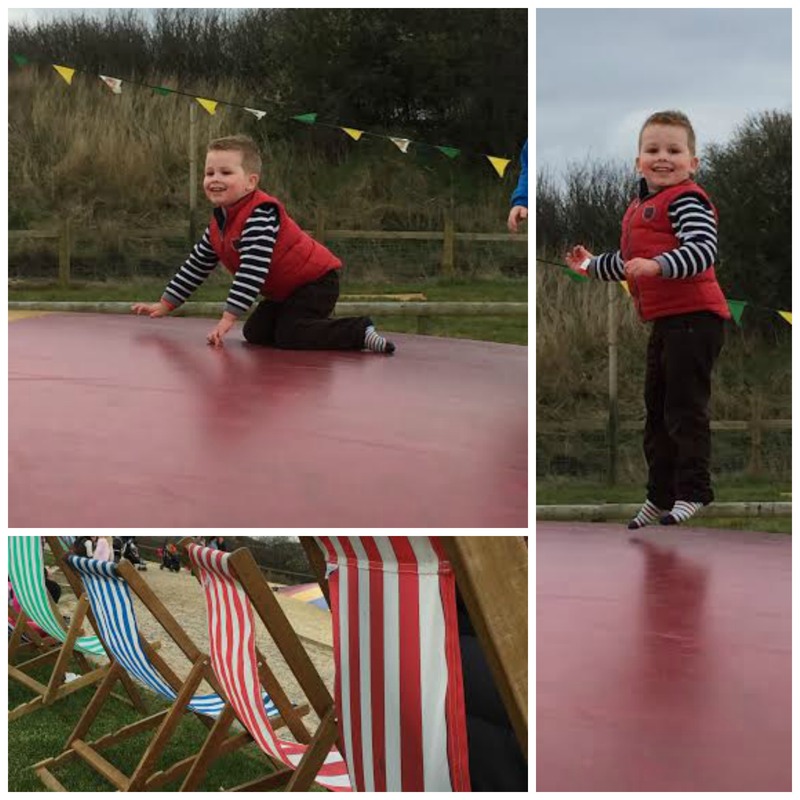 Truth be told, I last visited Marsh Farm several years ago and didn’t think there was enough to see to warrant the entrance price however things have clearly changed as there was plenty to see and do this time, especially for little ones, and we had a wonderful day out. First off, the animals themselves. 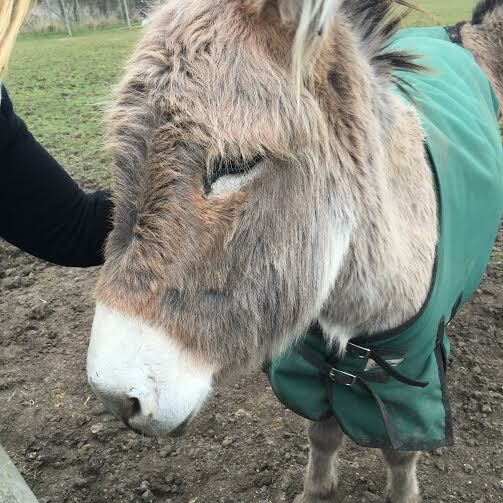 My absolute favourite had to be the donkeys, this little sweetheart captured mine and my friend’s heart for sure. But Caterpillar appeared particularly engaged with this wonderful, comical pig. Now he is that little bit older seeing him interact with the different animals was brilliant fun. We also encountered chickens, cows, sheep, alpacas, goats and many more, but of course the main attraction of any Spring is the heart-wrenchingly adorable babies! The lambs and piglets were absolutely incredible, some only a few days old. We could have watched them for hours and Caterpillar and his pals were particularly enthralled. 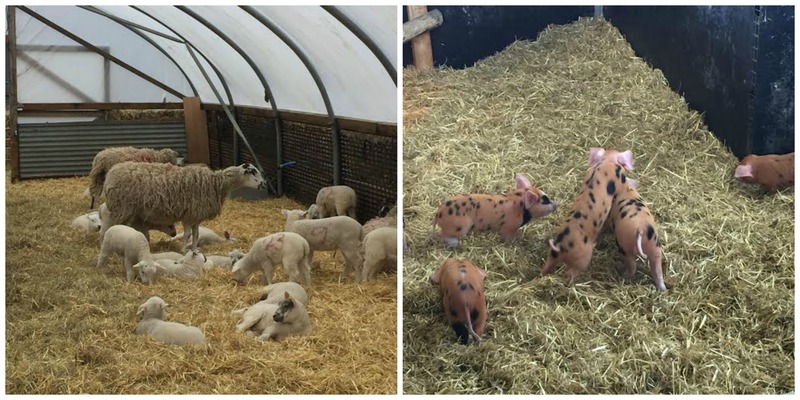 All the animals at Marsh Farm seem very well cared for and we even joked that the lamb enclosure looked cosy enough to sleep in ourselves (sleep-deprived parents talking here you understand!). 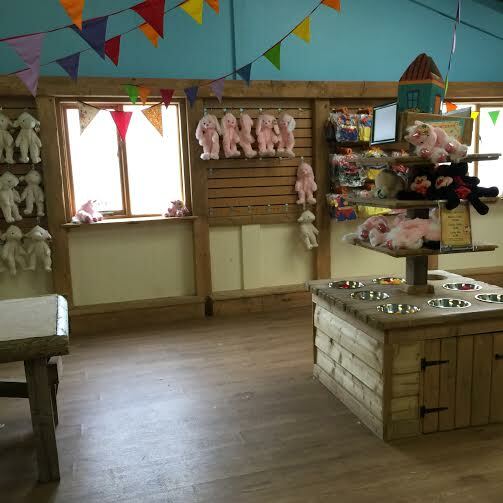 The animals are wonderful but they are just one of the many attractions here, which is so handy as toddlers and pre-schoolers can need a lot of variety to keep them entertained. We enjoyed a charming tractor ride into the country, the kids loved spotting the different animals in the fields and laughed at the big bumps. And they also had a mini tractor park which I’ll confess we had trouble (literally) dragging Caterpillar away from. 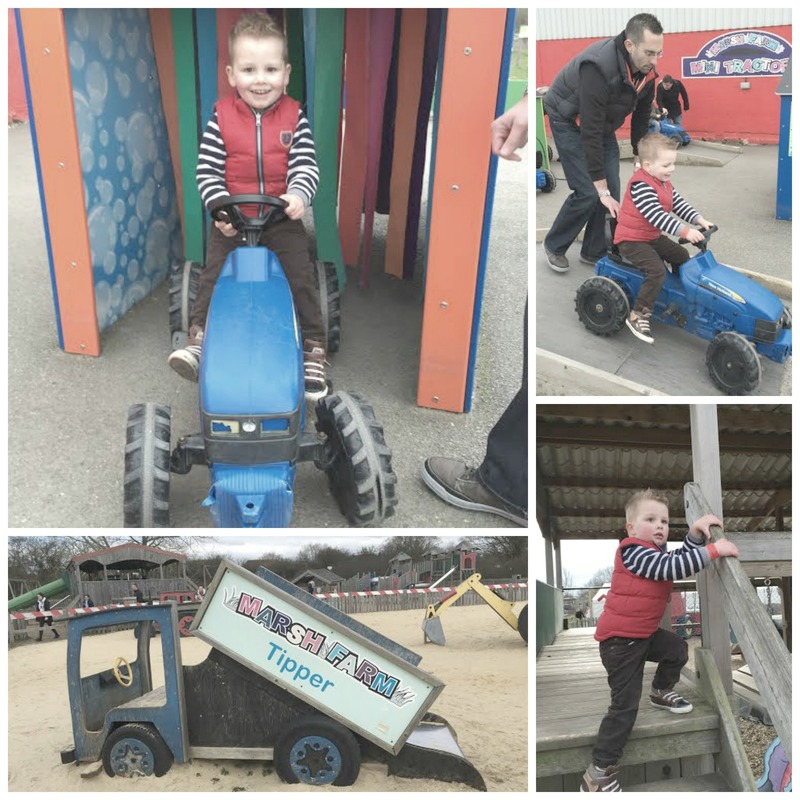 There are several large playgrounds, including a sandpit with wooden farm vehicle-inspired climbing frames. An unexpected highlight was the brilliant magic show! 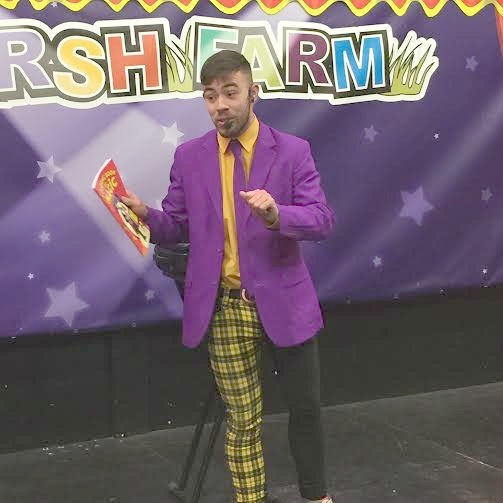 The magician was lots of fun and great at getting everyone involved (including some reluctant adults) and the children were captivated. It was really lovely to see Caterpillar completely engaged and easily sitting still for the duration, it made me really excited for future shows and activities we have planned for this year. We stopped for some lunch and I thought it was pretty reasonably priced, especially compared to other places we’ve visited. Hubs and I had a yummy sausage baguette, £3.95 each (apologies, I was too busy stuffing it into my mouth to remember to photograph it!) and Caterpillar had a children’s five-item picnic box, which was particularly good value at just £3.95 too. 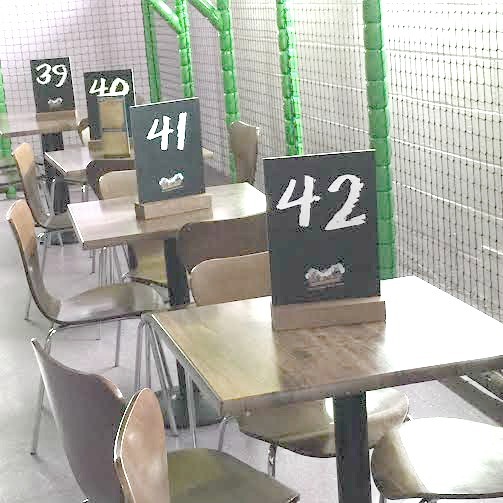 In the restaurant there are two soft play areas (one for under 5s) which all the children really enjoyed and it keeps them entertained while the parents enjoy a little rest and a cuppa. After lunch we used the special offer voucher we received as part of the current deal to visit the Make A Bear shop. The usual price for making your own cuddly toy is £11.99 but you can choose to do it for only a fiver if you select that option at time of booking. Being a Spring event the emphasis was on choosing a lamb toy but the children aren’t restricted in any way and Caterpillar selected an adorable dragon instead. He really enjoyed picking the heart to go inside and stuffing the teddy himself. Finally, we spent some time on what I personally consider one of the highlights – the inflatable pillows. We’ve tried out these bouncy-castle style inflatables at other venues and it’s a lot of fun for children and adults alike. Marsh Farm provide the added bonus of surprisingly comfortable deckchairs around the edge for weary adults! 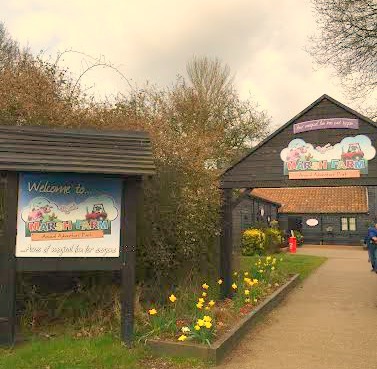 If you’re looking for a reasonably priced day out in the South East, especially fun during Spring, Marsh Farm is definitely worth a visit. We left exhausted and happy, and Caterpillar talked about it for days afterwards. They hold many seasonal events throughout the year and are also available for birthday parties (we encountered a children’s party while we were there and I was quite jealous of the kids walking goats!) They are also hosting the Kids Fest which we’re also hoping to attend later in the Summer. For more information and to book your tickets visit www.marshfarm.co.uk. Disclosure: I received the tickets to Marsh Farm in exchange for an honest review. Content and opinions are all my own. 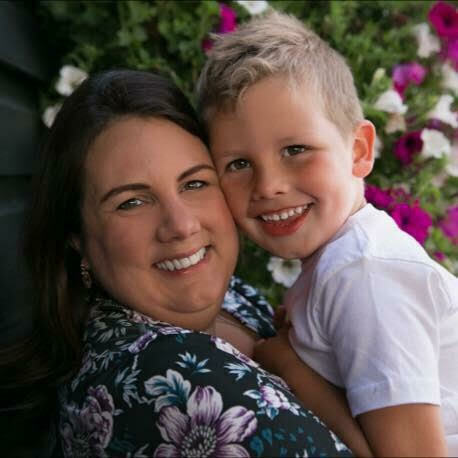 Helen Gandy recently posted…Happy 1st Birthday Elarna!